Luxury holiday homes are defined by their sense of belonging, comfort, privacy and convenience. This stunning luxury home is positioned in arguably Queenstown finest setting. 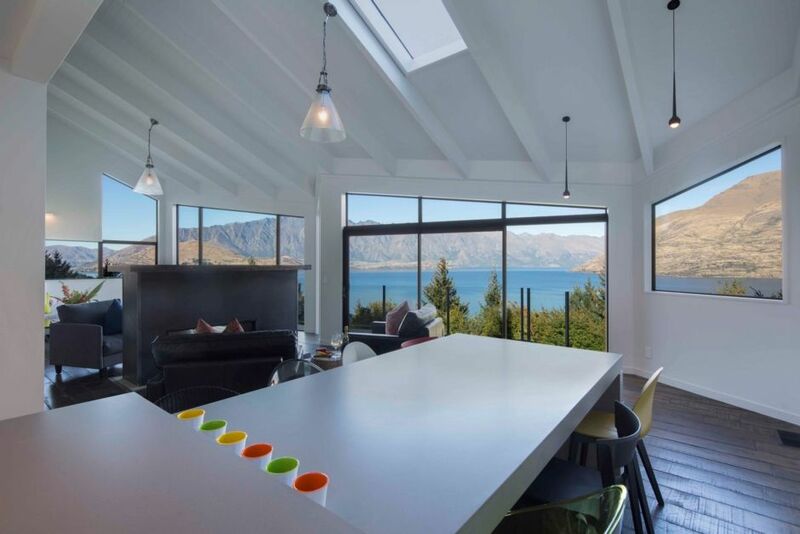 Set high with unobstructed panoramic views of lake Wakatipu and Queenstown. Located only minutes drive to the Queenstown shopping and restaurant prescinct guarantees guests convienience. This breathtaking residence is retained as a family holiday home and has undergone an extensive hi-end refurbishment in 2017. Recently completed its now offered for the first time to the luxury holiday rental market. Soaring vaulted ceilings, floor to ceiling double glazed glass plated windows, rustic oak flooring, heated drying room for ski-gear, luxury rug-pile floor coverings to bedrooms, stunning luxury furnishings designed for comfort and family. All three bedrooms have beautiful en-suite bathrooms, the latest wall mounted digital TV's, wardrobe storage and unparalleled million dollar morning and evening views. Bedrooms 2 and 3 have super-king beds that can be separated into two king single beds, perfect for children. Fast fibre broadband internet is provided to guests with no other user interference to ensure you can enjoy the fastest possible connection. The home is installed with an easy to use AV hi-fi system which will allow you to enjoy listening to your music, just hook up your USB to your device. If you are a guest to Queenstown who appreciates high quality, attention to detail, sophisticated refinement then this address will be loved by all of your family as your Queenstown home away from home. Beautiful house , beautiful location. Beautiful house , beautiful location. Would love to come back again some day . The house was perfect for our stay and we left with amazing memories. You just wanted to be there when the sun sets.